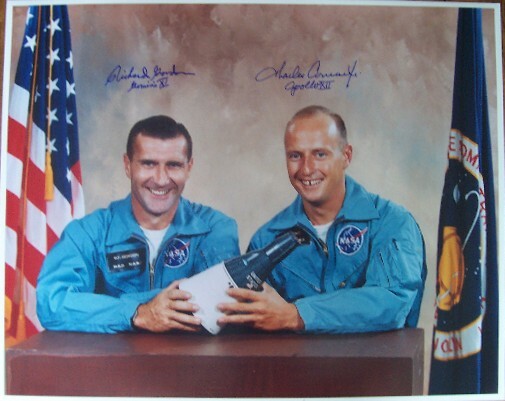 An oversized 16 x 20 color photo of Gemini 11 crew members Charles Conrad and Richard Gordon holding a model of the Gemini capsule. 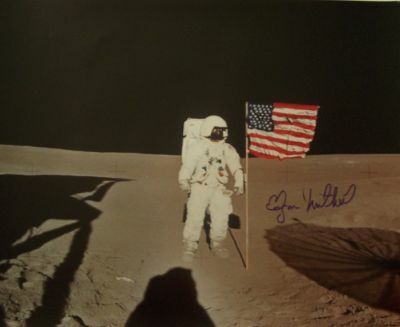 Oddly enough, although this is from an early Gemini flight Conrad has added only his Apollo mission to his signature. 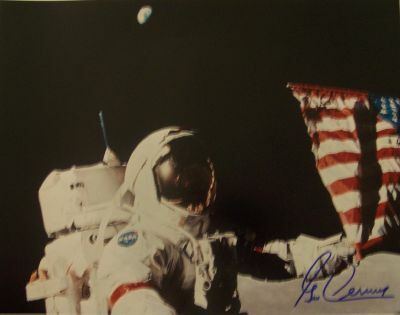 Boldly signed “Charles Conrad Jr. Apollo XII” and “Richard Gordon Gemini XI” Sharp blue signatures against a tan background making for a great contrast. 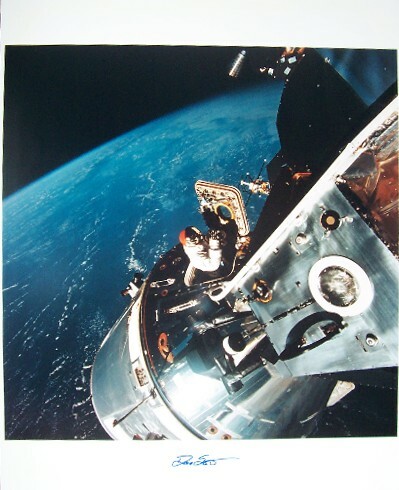 A stunning, historic signed photo of the earliest days of the space program. 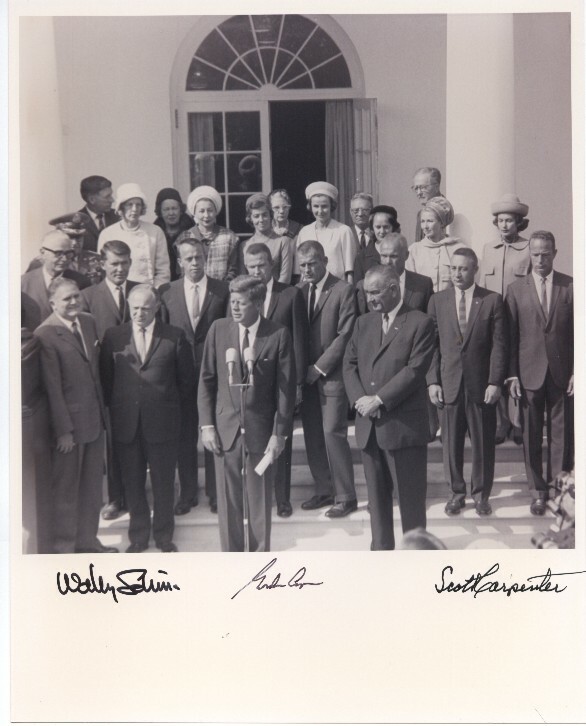 Soon after the selection of America’s first group of astronauts the seven men visited the White House to meet with President John Kennedy and Vice President Lyndon Johnson. 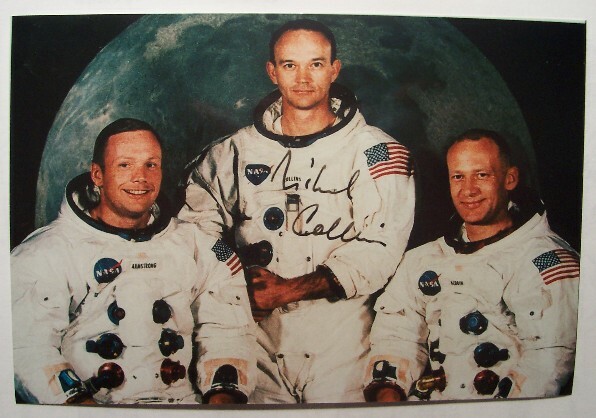 This rare 8 x 10 black and white photo had been signed on the large white signature margin by three of the space pioneers: Walter Schirra, Gordon Cooper and Scott Carpenter. The original seven astronauts, who also included Alan Shepard, Gus Grissom, Deke Slayton and John Glenn are also pictured on the first step behind Kennedy and Johnson. The photo and signatures are in excellent condition. 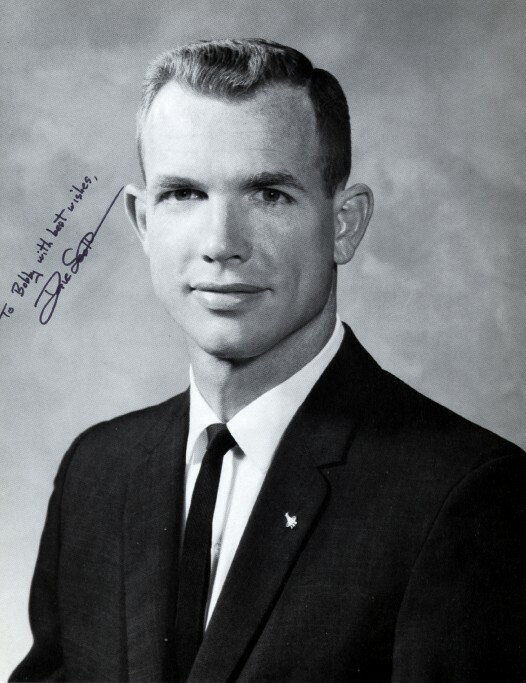 It is uncommon to find signed photos of the early astronauts with Kennedy or Johnson. This outstanding souvenir of the early space program records one of Kennedy’s crowning achievements as the President who challenged America to land a man on the moon by the end of the decade. 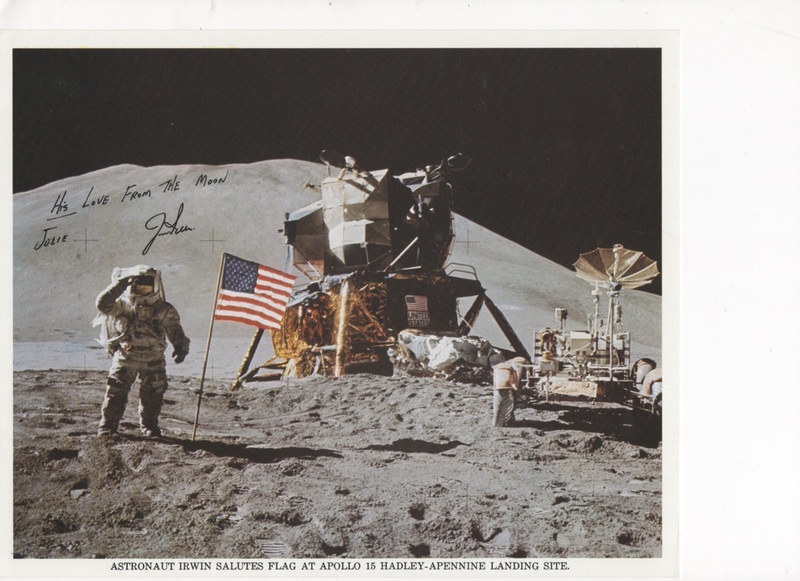 Group photos signed by two or more of the earliest astronauts are very desirable. 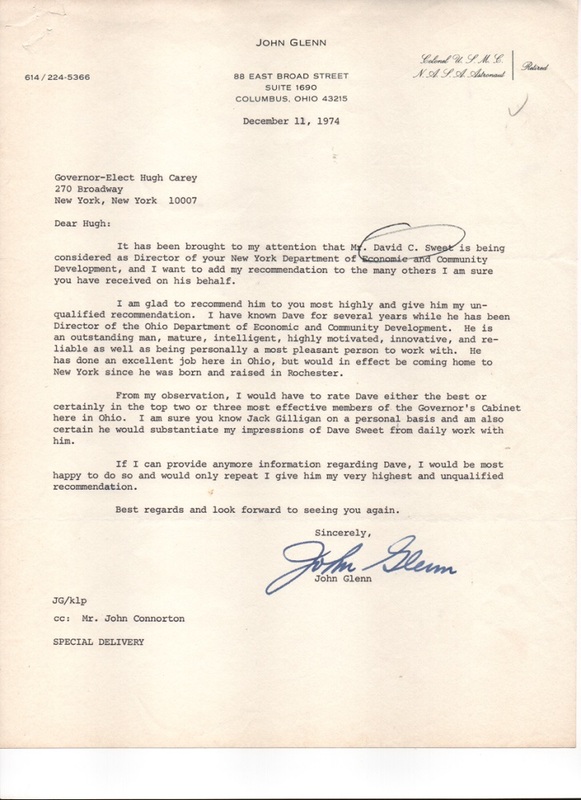 There is plenty of room on the signature margin to add Glenn’s signature. Gemini 8, Apollo 9 and Apollo 15 astronaut.